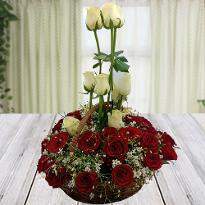 Flowers are valid expressions of love, affection and warmth. 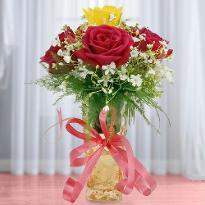 Thus, there can be no better gift than a beautiful flower to express your most profound sentiments for your loved ones. 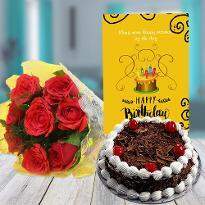 So, if you want to leave your dear ones surprised on their birthday or wedding anniversary or valentine’s day, then send exotic flowers online in India from Winni. 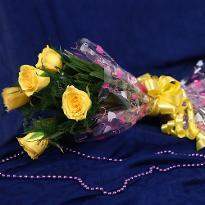 The best benefit of shopping online for flowers is that they save your time and you get the delivery right at your doorstep. You have to log on to our online website and select the flowers of your choice from our vast collections of lavish flowers arrangements. Order and send it using our hassle-free delivery service in Bidhan - Nagar. Flowers are for all occasions. 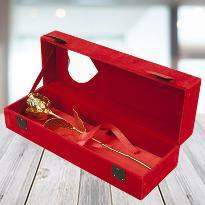 They are merely made to match almost any event with their fragrance and their elegance. 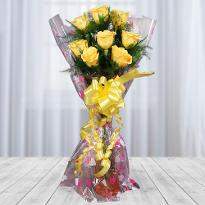 Be it birthday flowers, a wedding or a wedding anniversary flowers, you can never go wrong with a bouquet of flowers. 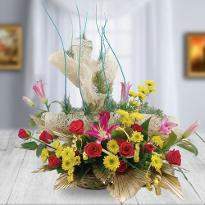 Flowers seem to mesmerize every individual with their amazing sensuous fragrances, colors and soothing beauty. 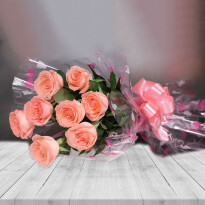 Sending flowers is a way to connect with your dear ones and convey your emotions to them. 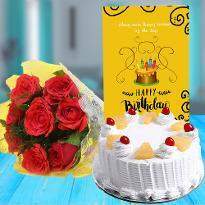 With our timely delivery of flower, you can convey your love for your family member and close friends in the best manner. Winni provides distinct delivery services like same-day delivery, fixed time delivery, earliest 4-hours delivery, next day delivery, standard delivery, free delivery and midnight delivery. Here is how you can use same day delivery service and midnight delivery service. 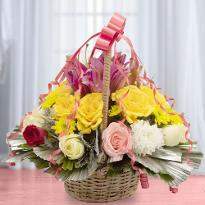 Same Day Delivery of Flowers: Did you forget to order a beautiful gift for your close friend on her birthday? Don’t worry; we are here to help. 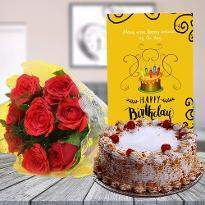 Order flowers in Bidhan Nagar and send through our same day delivery option, so that you don’t miss a chance to wish your close friend on her special day. Midnight Delivery of gorgeous Flowers : Winni is here to add an element of surprise to the special occasions of your friends and dear ones. 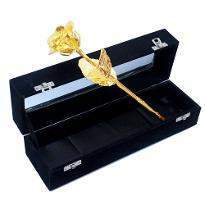 you just have to browse our wide collection of online flowers and order the one which you like the most. Choose our midnight delivery service and leave rest on us. We will deliver your product at the stroke of midnight. Your receiver will be stunned to see such an amazing gift from you and that too at midnight. 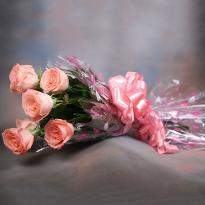 Flowers convey a thousand feelings and emotions without uttering a single word. 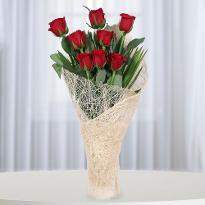 They are considered best to express warm wishes, rekindle the romance, and show special one how much you care. Select flowers from our colorful range of roses, carnations, gerberas, and lilies, orchids and many more and send it using our hassle-free delivery service. 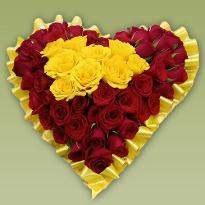 Get online flower delivery in Bidhan Nagar from Winni. 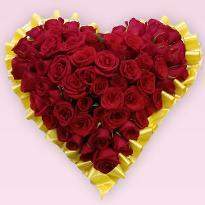 We are a fast, efficient and reliable flower delivery service in Bidhan Nagar, delivering freshly-picked flowers, carnations, lilies basket, Roses arrangements, gerberas flowers and other beautiful gifting options in flowers. 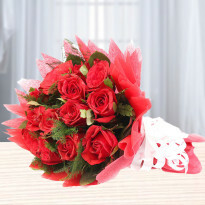 Bridge the gap between you and your dear ones through our online flower delivery service. 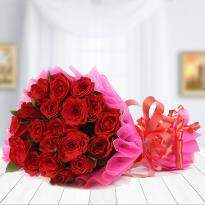 Winni is the best online floral shop from where you can order ravishing blossoms to send flowers to Bidhan Nagar and wish your loved ones residing there on festivals and significant occasions. 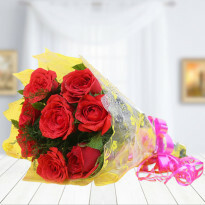 All you need is the proper internet connection; then you can browse through these beautiful collections of flowers and also place your order online so that the beautiful will be delivered right on your doorsteps. 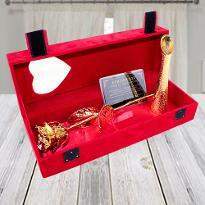 If your family is in Bidhan Nagar, but you live in another city due to work commitment, then you can place the order from our website and send to express your love and gratitude towards your dear ones. 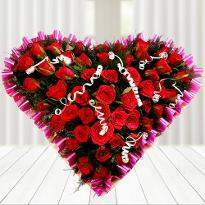 You can also choose Valentine flowers online from Winni and send them to your beloved one. 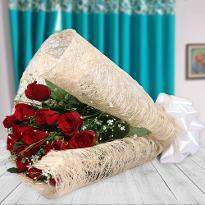 Just imagine the look on the face of your lover when he/she will receive the Valentine flowers from your side on Valentine Day. Value for Your money: All our flower bouquets and flowers arrangements are available at affordable prices that won’t be heavy on your pocket. 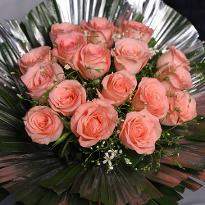 The beauty and freshness of flowers will do complete justice to the money spent by you for buying them.